Chartranges recognises the importance of health and safety in the workplace, and the environmental impacts that our operations can have. The health and safety of employees is paramount in all aspects of working life, but even moreso in construction. In a 2017/18 study by HSE, it was conducted that the rate of workplace injuries in construction was statistically significantly higher compared to other industries, with approximately 2,620 workplace injuries per 100,000 workers. Furthermore, it was reported that there were 38 fatal injuries to construction workers in the years of 2017/18, and 82,000 workers are said to have suffered from work-related ill health. 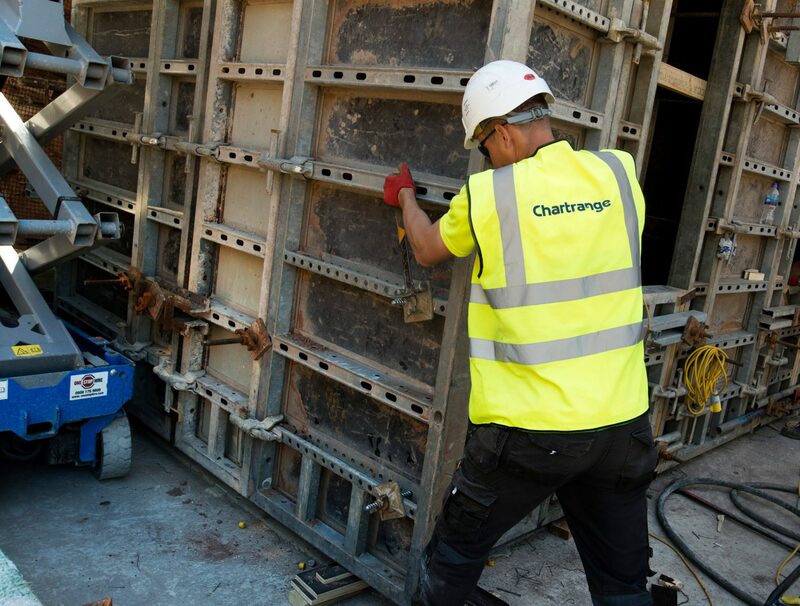 With the high risk profile in the construcion industry, Chartrange prioritises the health and safety of all of our workers in every aspect of our work and is at the forefront of everything we do. In order to ensure that all of our construction sites are a safe and healthy place to work, we have stringent procedures in place to promote the highest standards of a safe working place. 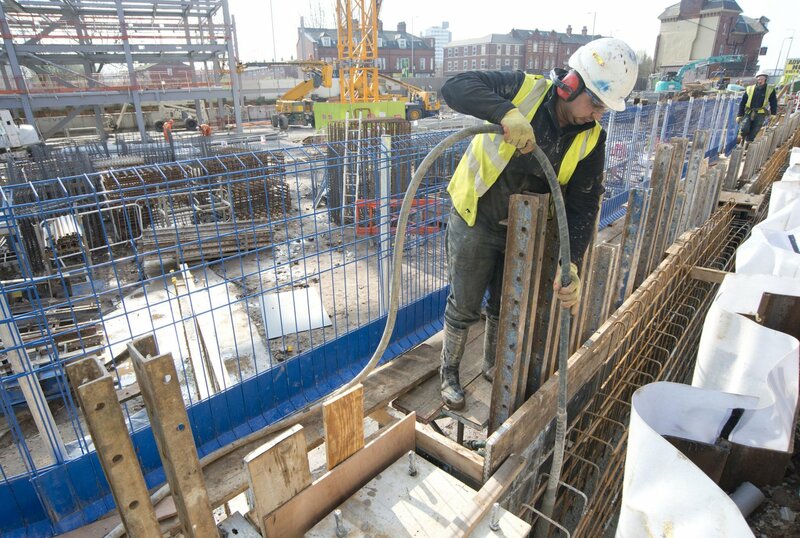 All of our site operatives are CSCS/CPCS trained. CSCS is the leading skills certification scheme within the UK construction industry, and all certified individuals carry CSCS cards to prove thtat they have the required training and qualifications for the work they are carrying out on-site. While this is not a legislative requirement, we chose to enforce this as a requirement of our workforce to ensure optimal health, safety and skills are met across the board. Similar, all employees operating plant machinery are required to hold a CPCS card to assure their operating skills and abilities. Chartrange are GOLD certified by Constructionline. To achieve this accreditation, we were assessed on our credentials for environmental management, quality management, equal opportunities, modern slavery act adherence and anti-bribery and corruption policies. As a Gold member, we also received a mandatory ‘Deemed to Satisfy’ SSIP certification for health and safety. Our other accreditations include: CHAS, British Safety Council, Safecontractor & Acclaim. It is crucial that we ensure the safety of every construction site we work on prior to work commencing, during operations and upon completion of the project. This not only applies to the safety of our workers, but also that of the surrounding community in any particular location. Thorough site investigations and in-depth site surveys are conducted on every project we carry out, to identify any already existing issues or possible problems that could come to light in the near future. Acknowledging that our operations can have a detrimental impact on the environment was one of the most important thing for us here at Chartrange, starting out as Bulk Earthwork contractors over 30 years ago. This encouraged us to put stringent procedures in place from day one to ensure that our environmental impact was minimal. Our environmental responsibilities lie within the way we source materials, the processes we use to complete a project and the handling & disposal of waste materials. In order to adhere to our principles and produce effective results, we follow a three step process in every project we carry out, big or small. Our team assess the site to identify all significant corporate and project environmental issues prior to carrying out any work. In order to minimise potential impacts, the correct control measures are implemented and documented in Project Environmental Management Plans. Following assessment results and successful control measures being put into place, we then carry out our operations in accordance with our environmental management system. Our environmental management system is designed to meet the philosophy of BSEN ISO 14001, a standard which provides guidance on all different aspects to reduce our impact on the environment and make our everyday operations more sustainable. By applying the requirements to this industry recognised standard to Chartrange, we can be sure that our environmental responisbilities are retained to the best of our abilities throughout the course of each project. As part of our efforts to minimise the effects that our construction work can have on the environment, we launched Chartrange Enviro as a division of the group. Chartrange Enviro works to assist the construction industry in material disposal and importation of aggregates (materials). By having this in-house service as a part of the Chartrange Group, we can ensure that all waste materials are disposed of and recycled in the correct manner. 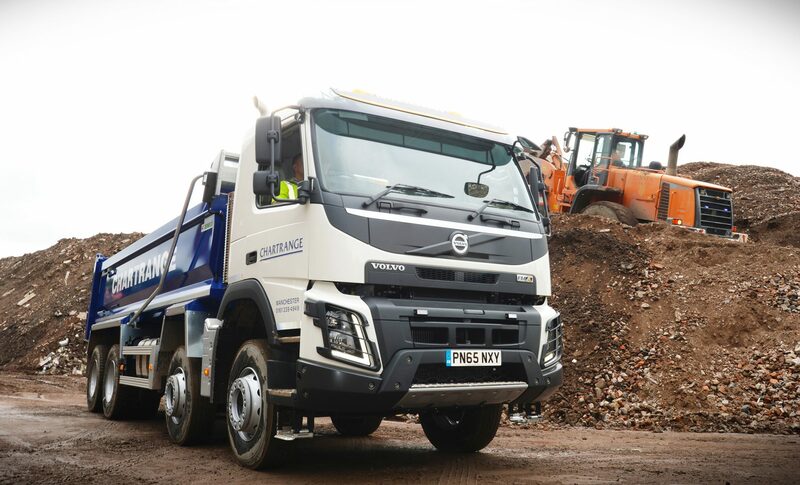 In order to operate Chartrange Enviro, we invested in an extensive fleet of modern tipper trucks, equipped with the latest industry leading technology to guarantee an fast and efficient process. 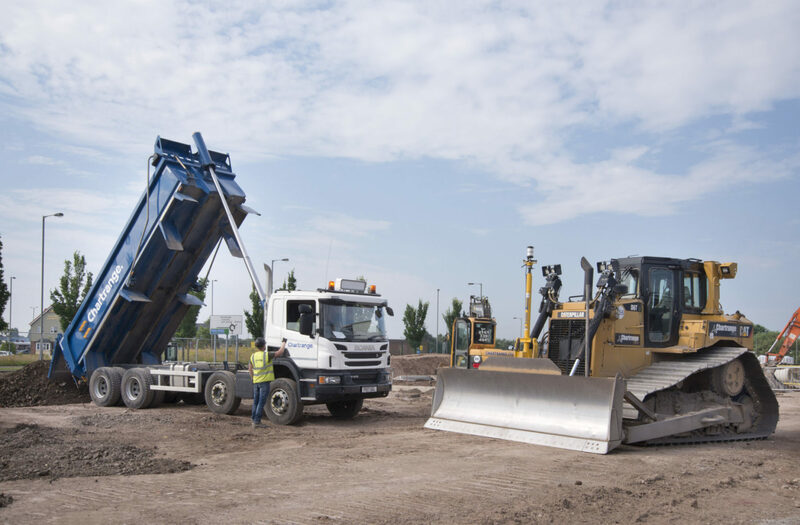 All of our owned tipper trucks are accredited to FORS standard, which recognises that our operation is being run safely, efficiently and in an environmentally sound manner. Chartrange aims to recycle 100% of all waste materials, and all of the materials manufactured by ourselves are processed under WRAP protocol and meet the requirements for the Specification for Highway Works approval. Chartrange are a Registered Waste Carrier (upper tier) with Environment Agency. While the construction industry provides a host of benefits for human and economical development, it’s no secret that at the same this can be detrimental to both the environment and surrounding communities, so it’s important that where we can reduce these negative effects, we will do. We are proud to say that corporate and environmental responsibility are high priorities in everything that we do, and we regularly practice and revise our strategies in accordance to current industrial legislations. Our main aim is to ensure that our works have maximum benefits with minimal implications, and while our efforts have proved to have a high success rate, we will always strive to improve upon these over time to be sure that as a company, we are operating as efficiently as possible. Find out more about the environmental principles of Chartrange here.